§ 254mm (10”) diameter main inlet to fan cowling. § Adaptor on inlet with 4 x 5” diameter inlets. § 5hp three phase motor with switch and cord. § Four strong wheel-type castors on base for mobility. § 5 Micron polyester top filter bags to allow free travel of air. § Disposable bottom collection bags of clear plastic. 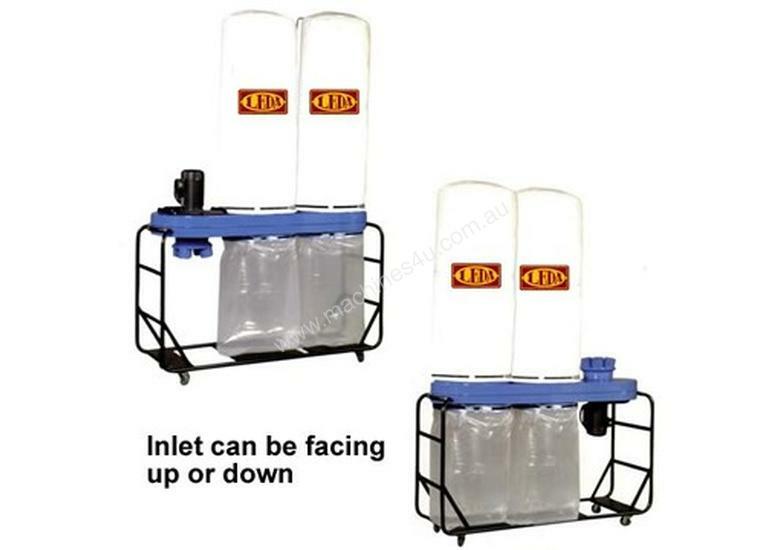 § Body of machine can be mounted with inlet facing up or down to choice.